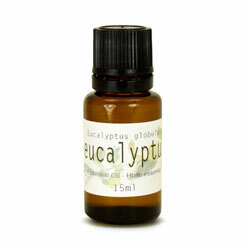 Eucalyptus Oil is known primarily for its ability to clear the sinuses relieving cold and flu symptoms. Just open the bottle and inhale or burn in a Diffuser for a longer gentler effect. Caution: While Eucalyptus Oil is safe for most skin, it should be diluted in a carrier oil for very sensitive skin.